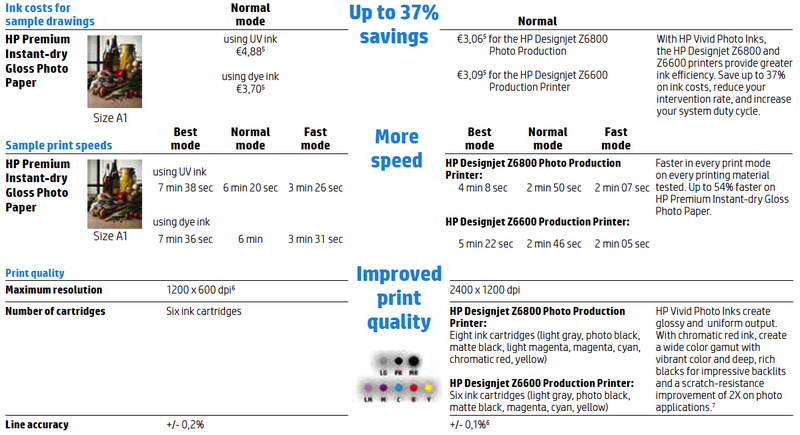 With the release of the new HP Designjet Z6600 and Designjet Z6800 production printer series, its time to look at the key features which make these printers stand out and why you should seriously consider upgrading your old HP Designjet 5000/5500 and HP Designjet Z6100 printer. 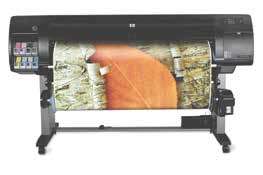 "Turn orders in record time with the fastest 60-inch production printer for graphics.¹ Impress customers--efficiently produce outstanding colour and black-and-white prints with eight HP inks. Rely on powerful performance from an easy-to-use printer. " 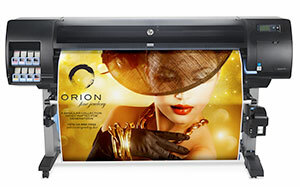 1) Compared with large-format inkjet printers under $25,000 USD for graphic applications. Based on the fastest-rated colour speeds as published by manufacturers as of October 2013. Test methods vary. There is no denying it, both the HP Designjet Z6600 and Z6800 are incredibly fast, printing at up to 140m2/hr, plus the printers have great ink efficiency with a saving of up to 37% on ink costs. HP Vivid Photo inks have been engineered to generate a wider colour gamut, produce smooth gradients and transitions while ensuring that the print will not fade for 200 years when kept indoors. Both machines come with heavy roll support allowing for overnight unattended printing, process files super quick thanks to an increased hard drive capacity and virtual memory. While both the HP Designjet Z6800 and Designjet Z6600 printers are classed as graphics printers, they have been designed with production environments in mind. The speed and consistent quality offered by these machines allow them to fit seamlessly into busy print workflows with little to no fuss. The brand new HP Designjet Z6600 and Designjet Z6800 production printers have been engineered to impress! Delivering prints faster with better colour reproduction, smoother gradients and crisp black lines these printer really do impress. 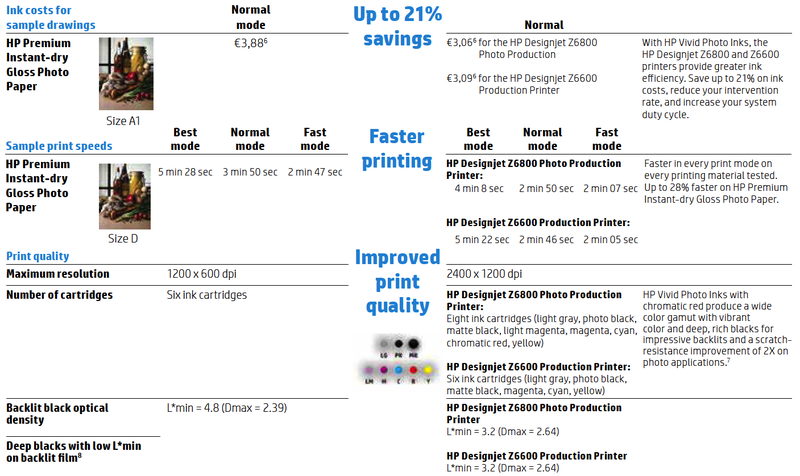 Upgrading your old printer to a new HP Designjet Z6600 or Z6800 will not only give your prints the results you deserve, but with great pricing and a strong return on investment they are sure to help you win more business.